We all know that wedding preparation is very expensive since it is one of the most special days that people will encounter in their lives. However, you can lessen your expenses in one way or another. Instead of paying an expert to edit your wedding video, you might just do it on your own. Then you need to have powerful wedding video editing software to produce a high quality video which you can proudly play every time you want it. So, if you are looking for the best video editing software, here’s a list for you. Video converter studio can be your first choice if you are looking for an all-in-one wedding video editing application. It functions as an editor, converter, player, and screen recorder. It can help you edit your wedding videos and convert it into a high-quality one. What makes this even more fascinating is its ability to convert multiple files without compromising the quality of the video. Download this program from below and install it on your PC. Launch the program and start by adding video files you want to edit. Click the “Edit” button and you will be directed to its editing tools. From there, it will allow you to cut parts, trim blank edges of the video, adjust quality, embed watermark, and add or edit subtitles. Just click “Profile” button and you can choose from different video formats. Once done, just click the “Convert” button and save your edited wedding video on your PC. Aside from its editing tool, it has a powerful converter that can turn your videos into HD or other formats. You can change the format of the audio and video or saved it on the format compatible to your desired device. Finally, you can merge separate video files by clicking “Merge into one file”. Furthermore, Video Converter Studio can capture what’s on your screen and record it using the “Record” function. 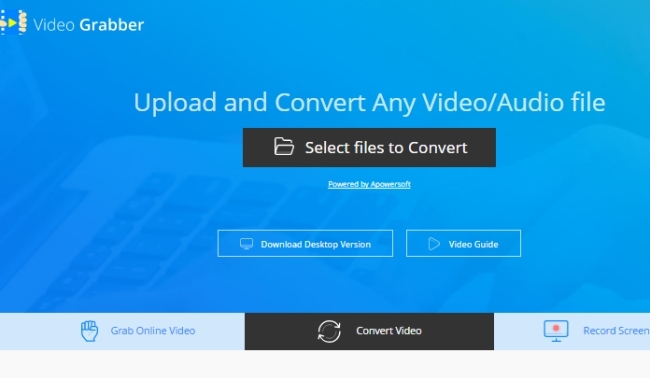 Video Grabber, unlike the Video Converter Studio, is a good online video downloader which can also function as a video editor and converter in one go. You can use this as an alternative to any wedding video editing software around the internet. What you need to do is visit the web and select “Convert Video” button. Then, select files you want to edit from your PC. Just click the edit button to enable editing. Next, choose format you want and save the video by clicking the “Convert” button. This application has a simple interface and is free to use. 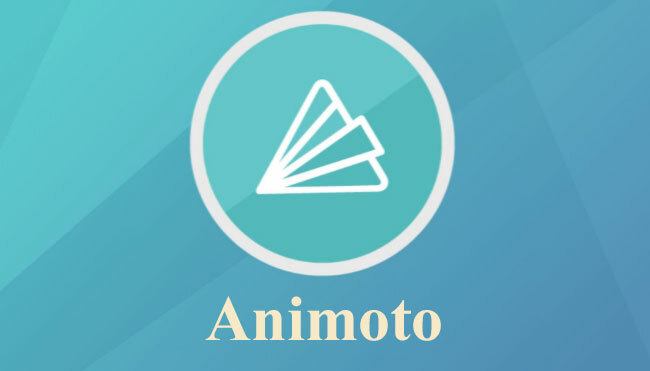 Another online app that you utilize is Animoto. It is an online software designed to help you create your own videos. 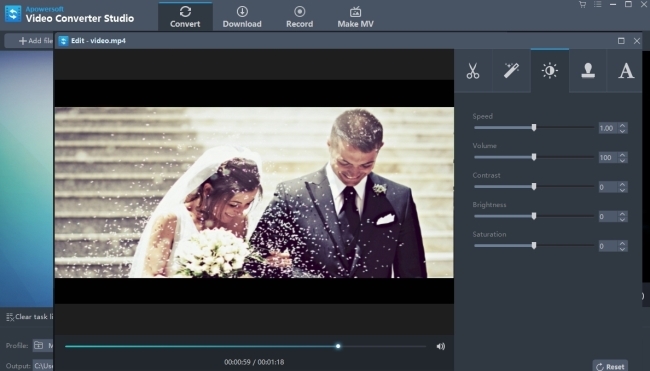 You can use it as your wedding video editor to add media files to create one video. All you need to do is go to their site and sign up to use the app. Choose from the available music on their library or upload it from your PC to change the music of your presentation. Once done, you can preview the video and publish it to share on your SNS. However, before you using this marriage video editor, bear in mind that you can try their service for free to produce unlimited 30-second video, but you’ll have to pay $22 per month for a better version. Looking for a cloud-based video editing tool? WeVideo is here for you. If you have strong internet connection, you may use this as your wedding video editing software. It has simple interface that makes your creation extra easy to control and manage. What you need to do is create a WeVideo account to start making your own wedding video. Besides, it has a unique feature that lets you invite friends to upload their own footage. Nevertheless, it has low resolution of 480p with watermark embedded if you used it for free, but you can also pay to remove these restrictions. Like WeVideo, Slidely is also a cloud-based application that helps you create personal videos using photos and audios stored from your cloud or PC. However, unlike the other four, you cannot add video files using this application. So, if you only want a slideshow video presentation with photos and music, utilize this application. Upload or import photos from SNS and try using filters and adding captions to give life to it. You can also choose music from their library or upload one from your PC. Once done, you can publish and share it on the cloud, but you will not be able to download it. This is a free site and you can utilize it all the time. 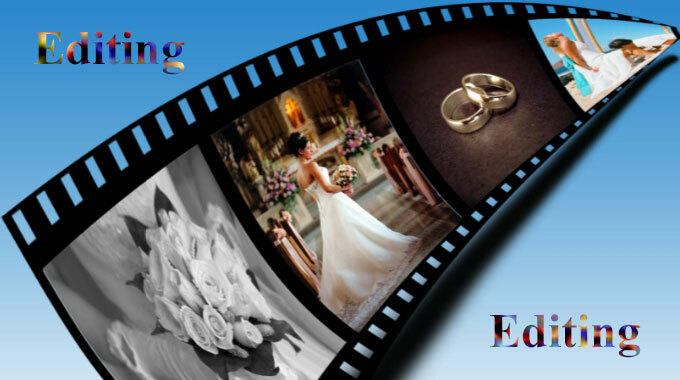 If you want to enjoy your own high-quality wedding videos, choosing the best wedding video editor is a must. 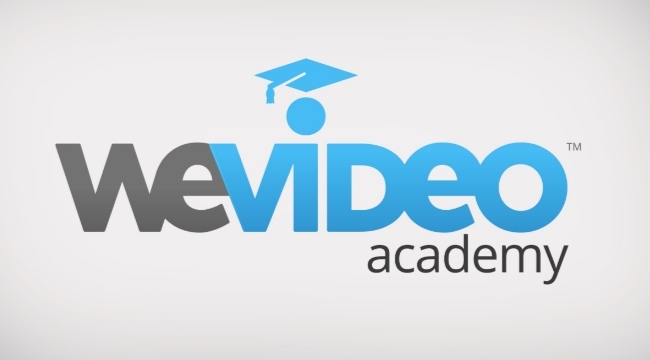 Out of the five video editors listed above, what stands out is the Video Converter Studio. The interface of this app is user-friendly and its end product is extremely good. Apart from that, its unique converting function, its ability to download online videos for you to utilize, and its power to easily combine video files to create an HD video make it the best video editor to have.